Leipzig's city center is just beautiful. I am approached almost daily by tourists, where this or that is to be found. Especially beautiful is the architecture of the houses, merged with many modern houses next door. 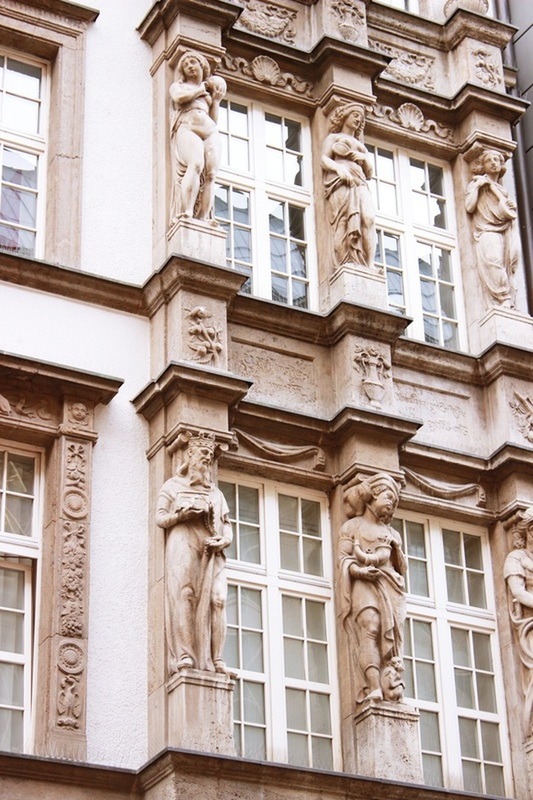 Hardly any other city has restored its buildings of the turn of the century and earlier as beautifully as Leipzig. 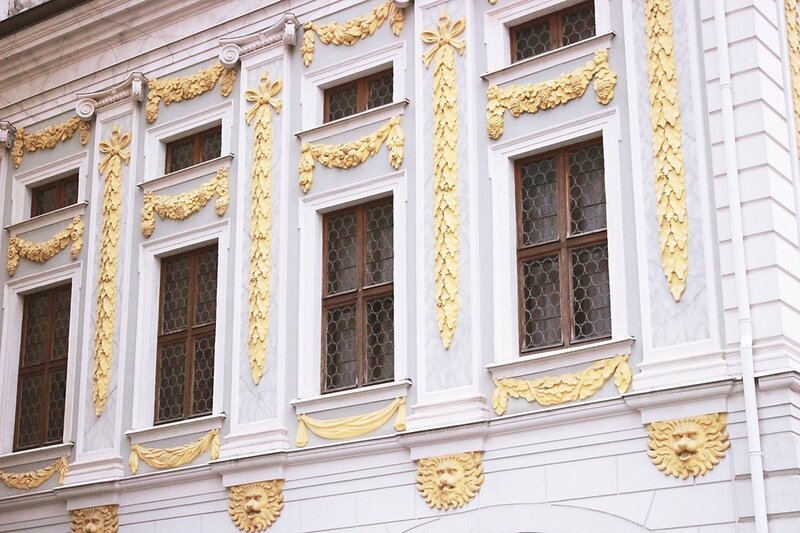 The pictures you see, I shot relatively randomly in the inner city ring, almost every one of the older houses has numerous decorative elements: fruit or fruit hangings, anthropomorphic masks, balustrades, decorations such as band or rocaille. 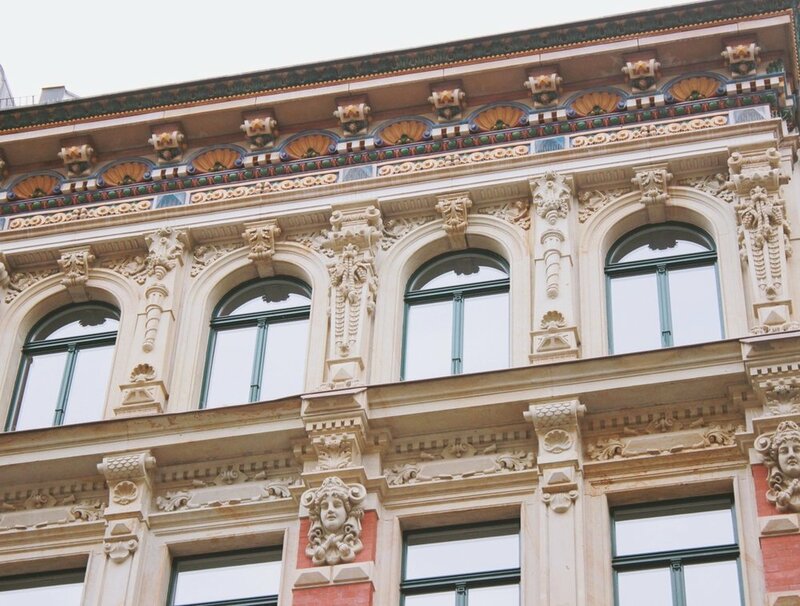 Particularly striking in many buildings are the lion heads. This is the heraldic animal of Leipzig and is constantly in the cityscape. Typically on discovering the city center as a tip: go through the courtyards! As in Berlin sometimes are the good shops in shopping malls and backyards. These are then called for example Barthels yard or or Thomashof or Mädlerpassage. In the Mädlerpassage, one of the first shopping arcades in Germany with really expensive shops and pure elegance, is also the entrance to Auerbachs Keller. Yes, the cellar from Goethe's Faust. But also Schiller and Wagner were active in Leipzig! The city center is definitely relatively easy to explore. It is really circular and is bordered by the inner city ring, a wide street that is multi-lane and on which the trams and cars drive. The good thing about Leipzig is that you can explore everything on foot. Everything is important in the city center, even most faculties of the university, but also all major shopping streets, hotels and restaurants. Smaller but finer than you would expect from other big cities.